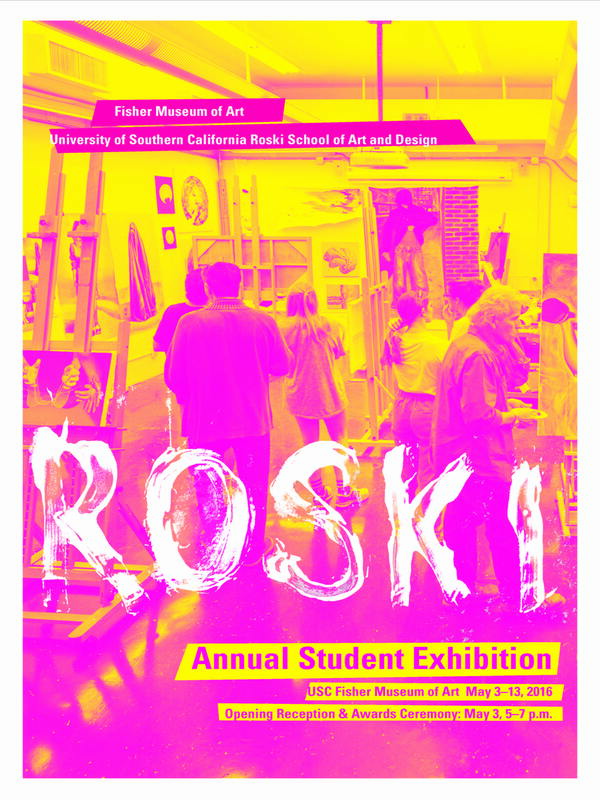 The Annual Student Exhibition showcases outstanding artwork made by USC students over the course of the 2015-2016 academic year. The faculty committee welcomes all USC students, regardless of their major, to submit work for the jury process. 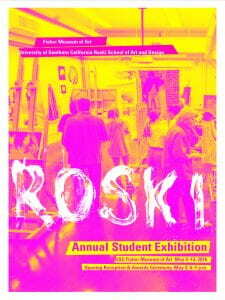 The exhibition will include work in painting, drawing, ceramics, sculpture, printmaking, photography, video and design. USC Roski has long-advocated an interdisciplinary approach culling from rich studio practice and instruction across these areas. The works of art on display here represent a cross-section of exciting contemporary approaches ranging from traditional representation to conceptually based projects. May 3, 2016 Opening Reception between 5 – 7 pm. May 4-12 12 – 5 pm Monday through Friday. Closed Saturday & Sunday.